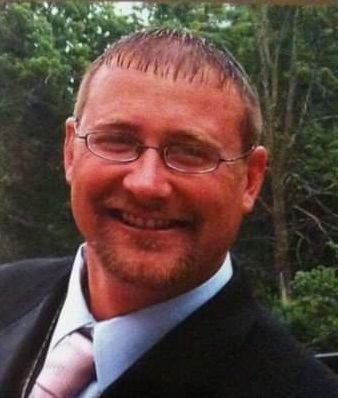 Timothy Patrick Krause, 44, of Huntington, IN, passed away on Friday November 9, 2018 in Fort Wayne, IN. Tim was born on October 1, 1974, in Edgerton, WI, to Randy and Lois (Chesebro) Krause. Tim went to Huntington North High School. He worked for Randy’s Under Presser Power Washing, in Huntington. He attended Union Church and The Awaking Church both in Huntington, IN. Tim is survived by his parents Randy and Lois Krause of Huntington, IN. 2 Sons; Cameron Krause, Huntington, IN and Ethan Krause of Fort Wayne, IN. One Daughter Grace Krause of Fort Wayne, IN. Two Brothers Brian (Jennifer) Krause, Huntington, IN. and Anthony M. Krause who preceded in death in 1999. One Granddaughter Isabella Krause and one nephew Gabriel Krause (Brian and Jennifer’s son). Angela LaFlower his former Companion and Stephanie Krause his former wife. Services will be private at a later date. In lieu of flowers memorials can be made to The McElhaney – Hart Funeral Home to help defray funeral cost. 715 N. Jefferson Street, Huntington, IN 46750.